Cornelia Frances - best known for playing Home and Away favourite Morag Bellingham - has died at the age of 77. The Australian actress had been diagnosed with bladder cancer last year, and revealed in February that it had spread to her hip. Sadly, the soap icon lost her battle with cancer yesterday (May 28), according to Australia's Daily Telegraph, and she died peacefully surrounded by family and friends. Born in Liverpool, Cornelia emigrated to Australia in 1970, and soon her acting career took off. In the UK, she was best known for her long-running role of lawyer Morag on Home and Away from 1988 until 1993, and then returned as a recurring star from 2001. She also had roles in other Australian soaps, including the villainous Sister Grace Scott on The Young Doctors, and Barbara Hamilton on Sons and Daughters. Cornelia also hosted the Australian version of The Weakest Link. 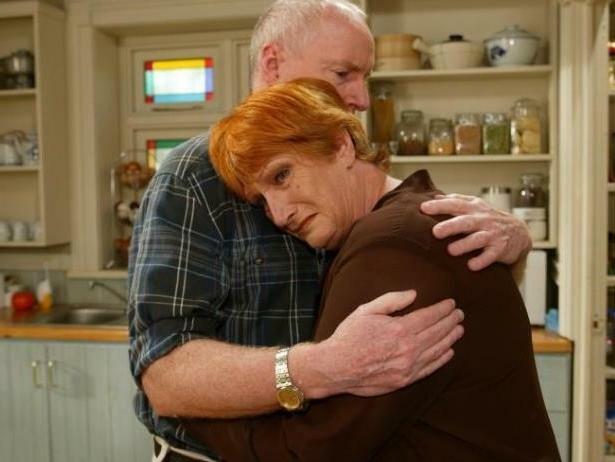 Home and Away's Ray Meagher – who plays her on-screen brother Alf – said: "Cornie was an incredibly loved and valued member of our cast over many, many years. We had a moment of silence for her on set this morning and she'll be sadly missed by both cast and crew." A statement from Home and Away's channel Seven added: "Cornelia Frances was a unique person. Her on-screen presence inspired a generation of actors. This gift was coupled with an ability to bring a sense of dignity and presence into each room she entered. Her energy and character will be missed."